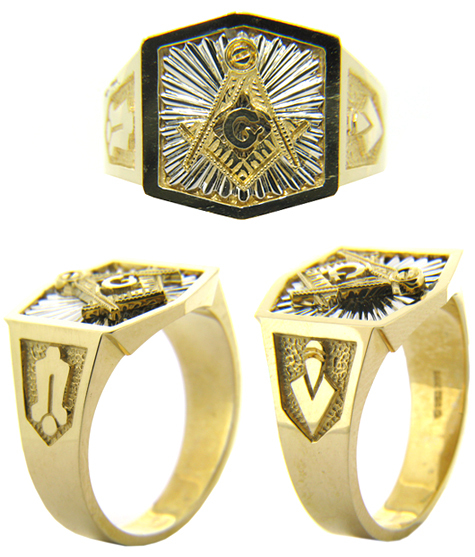 14k yellow gold masonic ring features a bright white gold sunburst behind a yellow gold G compass and square center emblem. Hexagonal top. Plumb and trowel logos on sides. Item weighs approximately 12 grams. Face measures 16mm by 15mm. Sides measures 11mm wide at the top, tapering to 4mm wide on the bottom. This item is handcrafted in the USA.